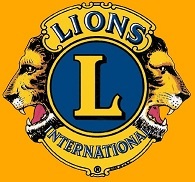 The Elberton Lions Club invites all runners/walkers to join them at the Elbert County Comprehensive High School in Elberton, GA for the 16th Annual Elberton Lions 5K. The start/finish will be at the Elbert County Comprehensive High School, which is located 600 Abernathy Circle just off Jones Street. Cash Awards: $150 cash prize to the overall Male and Female Runners. $75 cast prize given to the Overall Masters Male and Female Runners. Cash winners must be 21 or older and not fall into the NAIA amatuer status rule. Previous winners are not eligible. Awards: Awards will be presented to Overall Male/Female, Masters Male/Female, and the top three male/females in age groups beginning with 10 and under up to 75 and over. Timing and Results: Finish line management and results provided by Classic Race Services with results posted to www.classicraceservices.com, www.active.com, www.athlinks.com and www.coolrunning.com. Shirts and Goodies: Colorful t-shirts will be guaranteed to participants who register by 3/28/18. Those who register after that date and on race day are not guaranteed a shirt or size. There will be plenty of refreshments. Course: The 5K course will start and finish at the Elbert County Comprehensive High School. The course will wind through adjacent neighborhoods on gently rolling streets before returning to the High School. Series Affiliation: The race is part of the 2018 Black Bag Race Series and the Run and See Georgia Grand Prix. Other Info: In case of rain, the races will go on. Delay of the start may happen in case of severe weather in the area at race time. If severe weather continues, then the race director or local authorities may make the call to cancel the race at that time. Sorry, no refunds.